Between Tokyo's Final Fantasy XIV Fan Festival and the Jump Festa 2015 in Chiba, Japan, fans of the latest two numbered FF games were up to their eyeballs in new info this weekend, from a new playable race in FFXIV to the first female Cid in FFXV. Here's a quick refresher to bring you up to speed. First came the Final Fantasy XIV Fan Festival, where producer Naoki Yoshida took the stage to show off two new classes — the Astrologian and the Machinist — a new playable race in the height unbalanced Au Ra, rideable flying dragons and the Alexander raid, which takes place within the massive fortress-shaped creature. Catch up with all the news out of the FFXIV Fan Festival here. 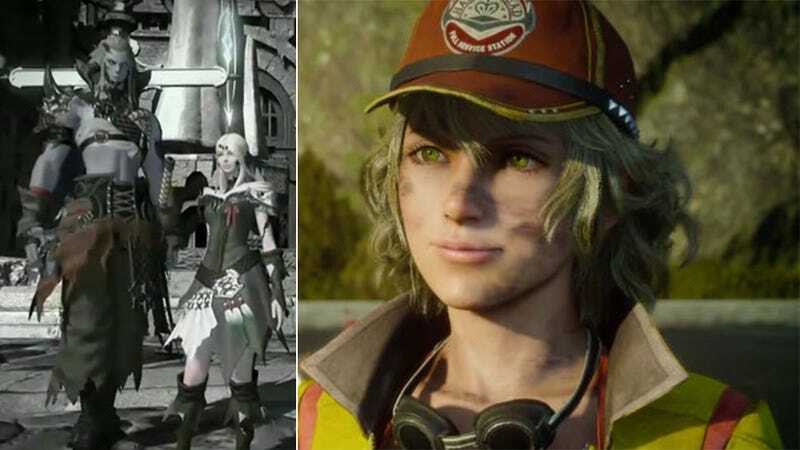 The eagerly-anticipated Final Fantasy XV dominated the Jump Festa, starting things off with a fresh new trailer marking the debut of Cidney (it is Cidney, not Cindy), the first female iteration of the series' regular, Cid. The trailer also featured gameplay in lively cities and the humongous Titan summon. Check out the new Final Fantasy XV trailer here. Later, game director Hajime Tabata gave players a dog's-eye view of one of the game's cities. This made many fans wish they could play exclusively as the dog. 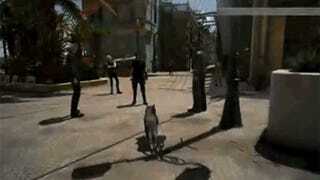 Check out the dog's-eye view demo here. Finally, during Hajime Tabata's question and answer session, the director touched on all aspects of gameplay and features seen in the new trailer, from Cidney to the upcoming game demo included in copies of Final Fantasy Type-O for the PlayStation 4 and Xbox One. Read Hajime Tabata's Final Fantasy XV trailer breakdown. Finally, for those Type-O fans in the audience, Square Enix revealed a limited edition Final Fantasy Type-O PlayStation 4, available exclusively in Japan this March. It would have been a Vita, but you know.